On July 16th we posted a Superfood spotlight on Tomatoes and their numerous benefits. Here is an amazing Superfood recipe that includes 2 additional superfoods, turkey, and soy (tofu) or greek yogurt, to make this truly a Superfood Spectacular soup & it is absolutely delicious. Many may be a bit off-put by tofu if you’re not vegan or vegetarian, however, if prepared properly, tofu can be an amazing, healthy, AND yummy addition to a meal. If you are completely turned off by tofu, then you can sub in 8 ounces of greek yogurt after you remove the soup from the heat. If you want to get really crazy you can drizzle some black or white truffle oil, just a few drops when serving, along with some minced fresh basil. 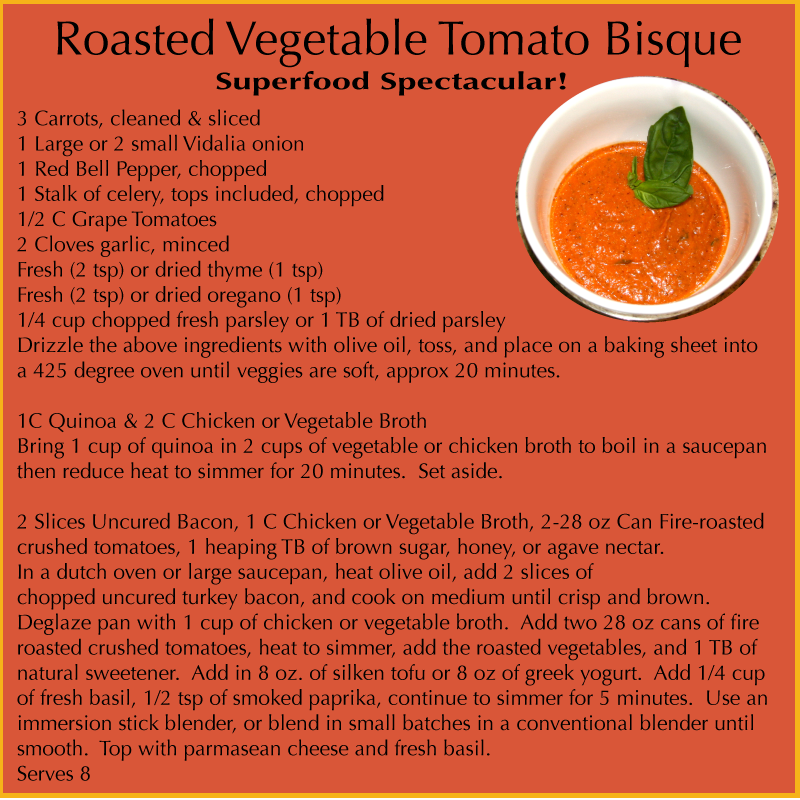 Scroll to the bottom to find the nutritional information, full recipe & directions. 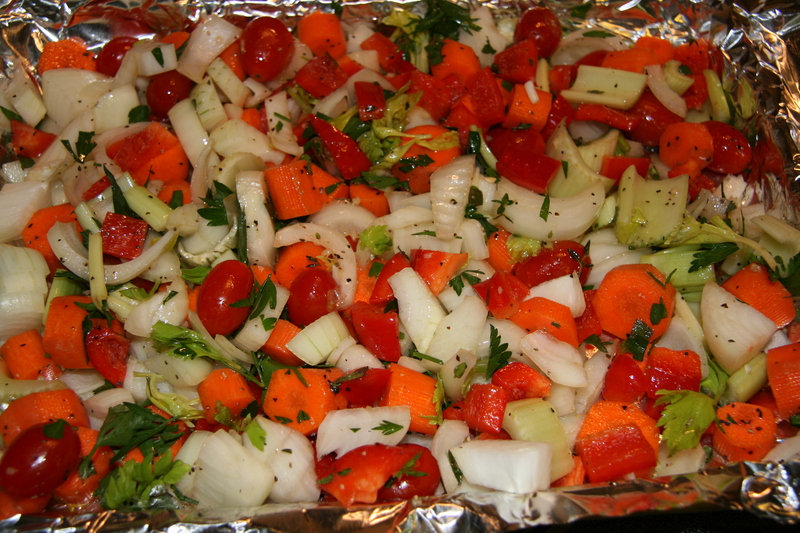 Veggie mix tossed with herbs and olive oil just before going into the oven. 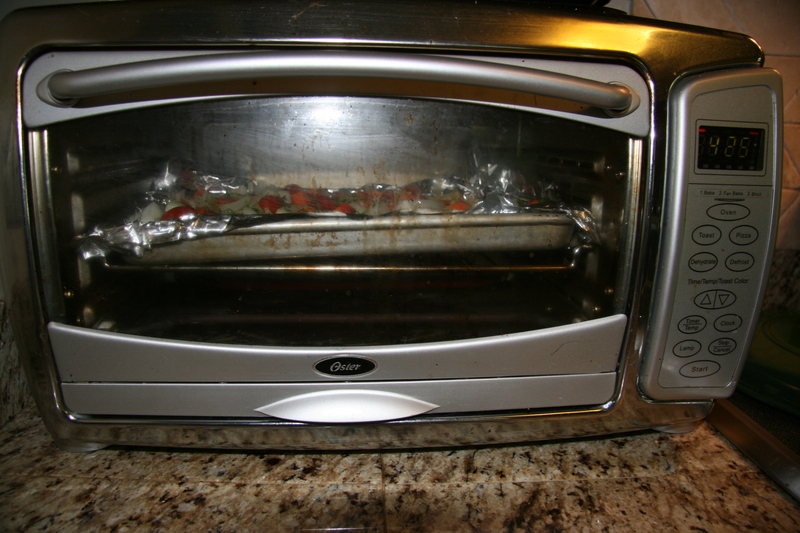 I roast mine in the toaster oven for quick energy efficiency. 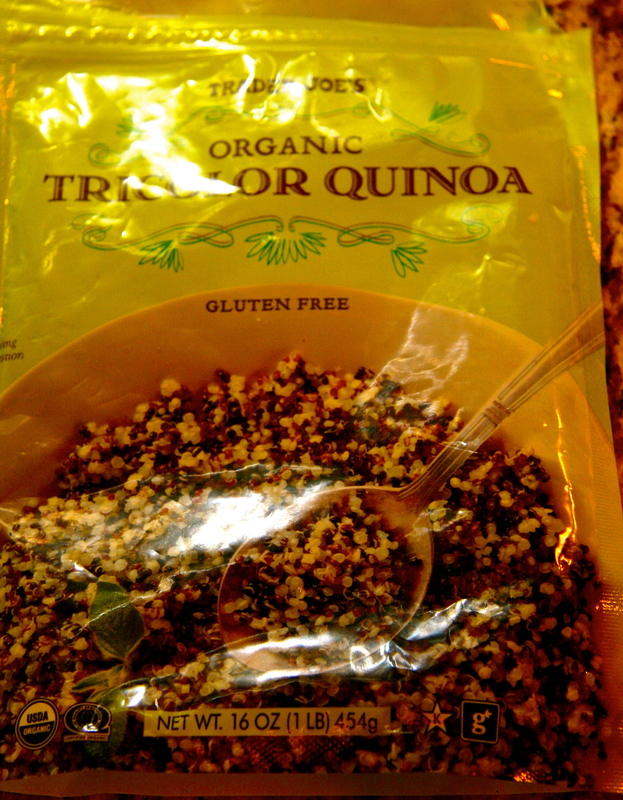 Quinoa from Trader Joe’s, but nearly all grocery stores now carry this nutrient powerhouse. 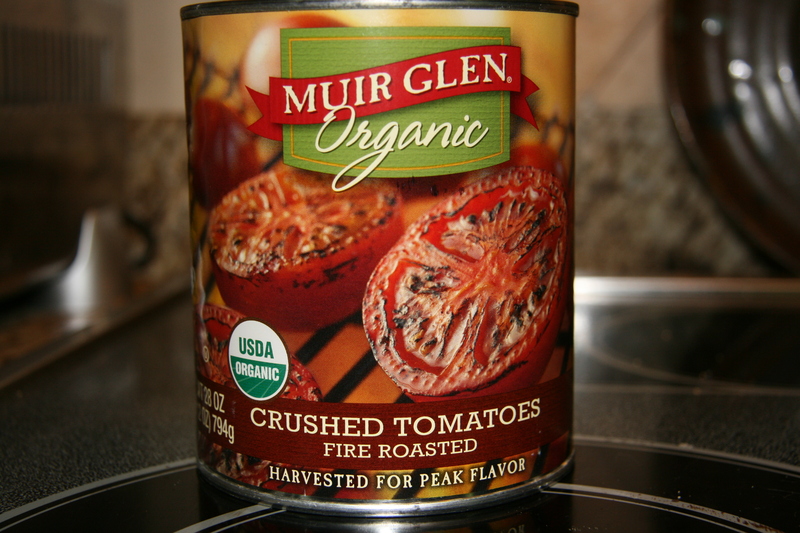 My choice of fire roasted organic crushed tomatoes, but can be made with nearly any tomato product, whole, sauce, stewed, or even paste, but fire roasted is definitely my preference. If you are vegan or vegetarian, simply skip the turkey bacon and utilize tofurky or other soy based smoked product like bacon or smoked link, and skip the cheese. Once you blend it all together, it simply adds a smoky flavor layer to this Super-soup. 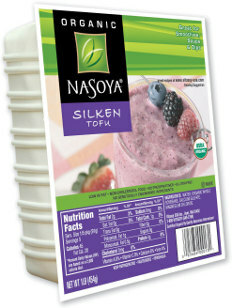 Silken tofu is a soft, similar consistency to sour cream or greek yogurt. This bisque boasts an absolutely incredible amount of vitamins, minerals, antioxidants, bioflavonoids, and many other phytonutrients that are cancer fighters, anti-inflammatory, immune boosting, age defying, and heart protecting. One serving (1 cup) contains up to 50% of the U.S. Daily Recommended Value of vitamin C & 70% of vitamin A, just to name a few. 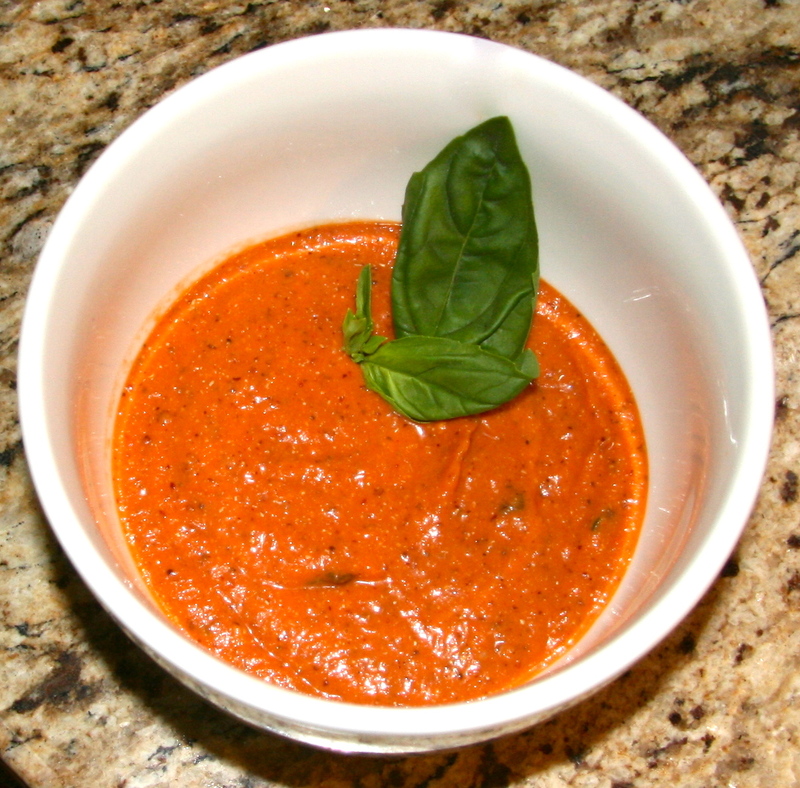 In addition, 1 cup of bisque has less than 200 calories but contains 12 g of fiber and 7 grams of protein. It is also fantastic with a side of grilled cheese or served alone, hot or cold. ENJOY!